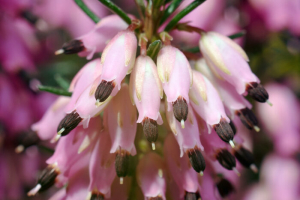 The heather flower is an evergreen flowering shrub with hundreds of bell shaped flowers up and down it’s spike like stems. Originally from Europe and some parts of Asia, this is an ancient flower with most associations closely held in Scotland but also grows wild in Mexico. Heather is found under the l genus calluna under the ericaceae family. Not surprisingly this hardy little flower has come to symbolize independence. From the rocky hills and moors that it grown on, it has developed into a self sufficient flower worthy of all of it’s accolades. 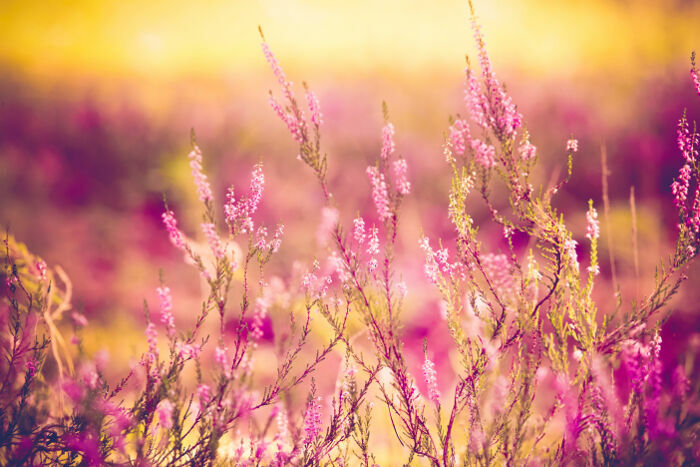 The word heather actually is derived from the word hather which is middle english and means an open land covered with heather and or moss. This land can be hilly and rocky which is exactly where heather is happiest. 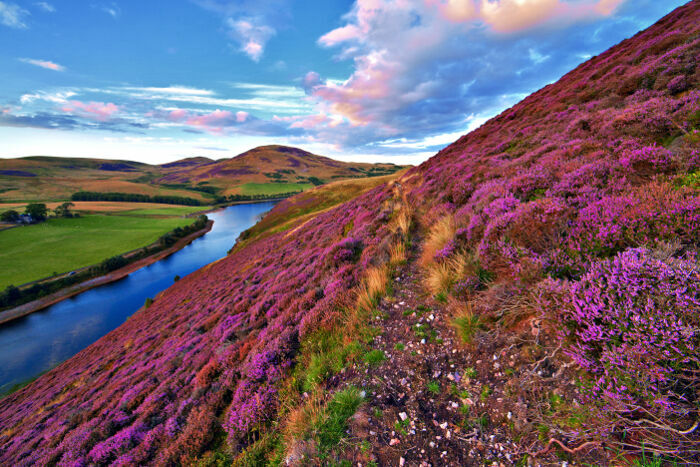 The independent nature of heather was honed in the highlands and moors of Scotland. No wonder it grew so sturdy! The name hather was later changed into the word heather for heath. The symbolism of the heather plant is rich and steeped in history. 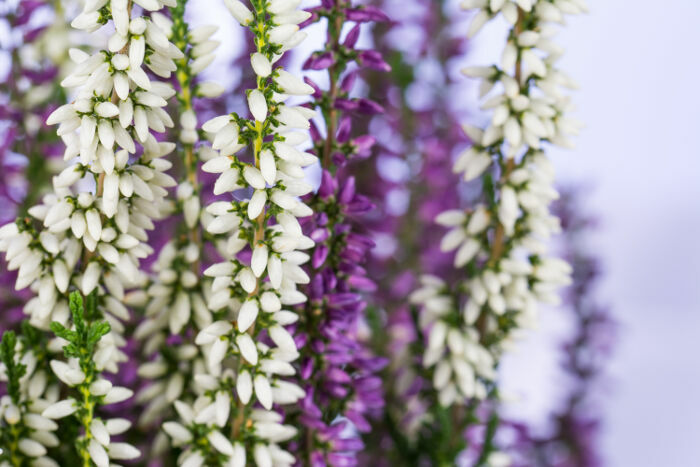 Growing on the windy hills of Scotland, the white wild heather has come to symbolize protection. Early in the history of Scotland, there were many wars of competing factions. 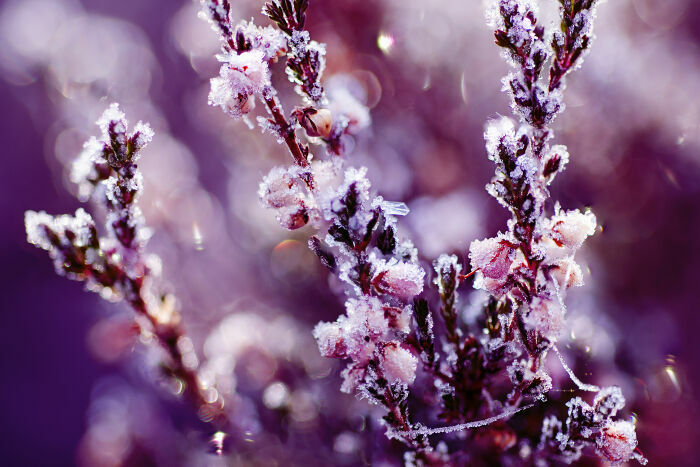 Throughout these battles of position and power, white heather was worn as an amulet of protection. It was thought that the red and pink heathers were stained with blood. Nobody wanted to invite bloodshed into their life, so these colors of heathers would not be carried into battle. 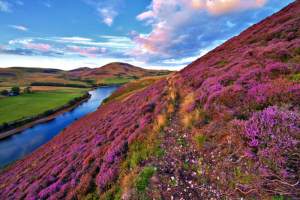 Scottish legend also says that no white heather will ever grow where blood has been shed. 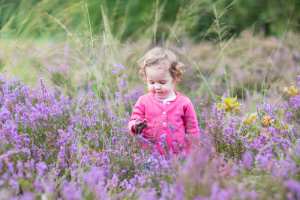 One of the sweetest legends of Scottish folklore is that white heather only grows where fairies have been. 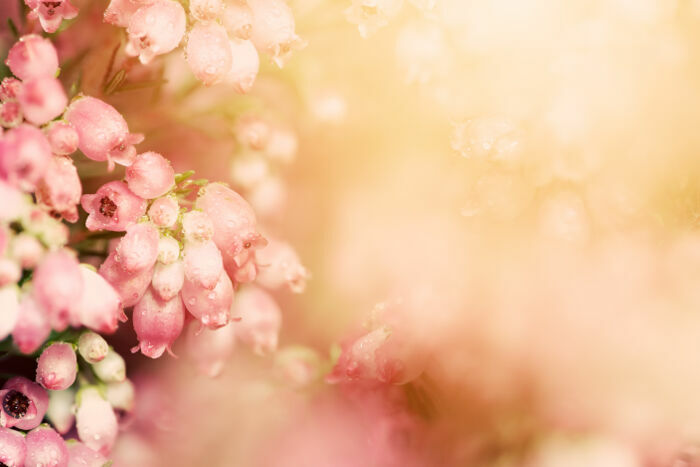 The most well known legend of white heather is that in the 3rd century A.D., a young maiden named Malvina, daughter of the poet Ossian was to be married to her true love Oscar. Oscar, a warrior, never came home. Killed in battle, a messenger was sent to to deliver the horrible news. 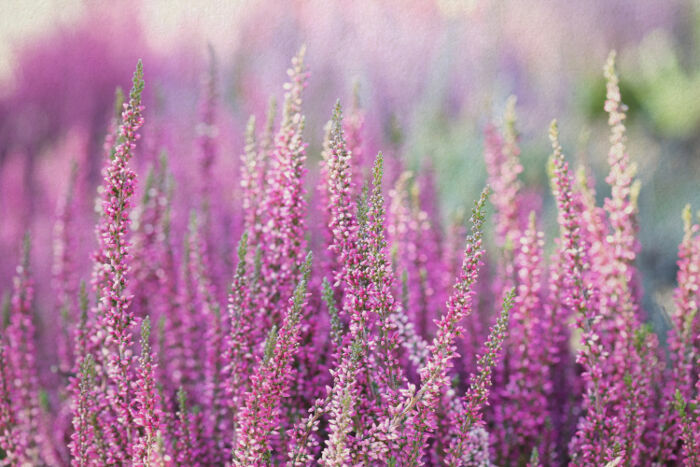 The messenger delivered the horrible news with a spray of burgundy heather. Malvina was inconsolable upon hearing the news of her true love’s death. Wondering among moors and mossy hills, she shed futile tears. Legend says that as her tears fell upon the heather it turned the purple flowers into white ones. Instead of drowning in bitterness, Malvina decided right then and there that anyone who came across a white heather would be blessed with good fortune for all of their days. The stems were used to make aromatic brooms – sweep your house and make it smell good at the same time – ingenious! I would offer a dried heather wreath of white (for protection) and red or purple heathers to invite vitality into the home. I am the symbol of good fortune. 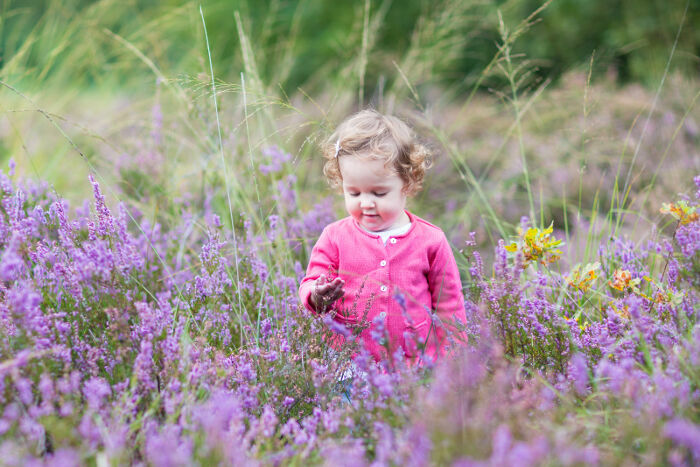 Find a place in your garden for me and I will fill your home with vitality and energy. I really needed to read this article today! Thank you for the information, it has helped me to realize some very important stuff about my name. Thank you. I thought it was excellent. If someone’s only comment is there are grammar challenges they obviously didn’t come looking for info but a job opportunity. 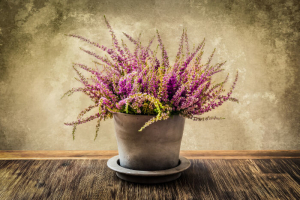 I didn’t realize what history the Heather plant has. Thank you. Informative article, but multiple typographical and grammatical errors. You may want to enlist the services of a good proof reader.